‘) The authors wish to thank the other participants of the study for their contributions to the study-results presented in this preliminary report (up to September 1999): G.Feder (GB), S.Geider (GB), B.Gowans (GB), W.Havinga (GB), P. Hanrath (GB), R.Kurppa (FIN), A.Maendl (GB), B.Maris (D), D.McGavin (GB), A.Schjönsby (N), R.Schwarz (A), M.Winkler (NL), B.Witsenburg (NL), J.Witt (GB), P.Wormer (NL). Objective: Prospective single-case-study to evaluate the therapeutic benefit of the prescription of a single remedy out of a large spectrum of anthroposophical medicines. Patients: Primary care and outpatient specialist settings in 8 European countries with patients who were open to an anthroposophically orientated treatment of their complaint. Methods: Documentation of outcome (change of a specific targeted problem, symptom or disease) and intervention (prescription of a single anthroposophical medicine) during an initial visit, an evaluation visit after a prospectively defined evaluation interval, and by written feedback of the patient using a reply card. The evaluation interval was defined according to the nature of the targeted symptom at the time of the first visit. Documented measures were the subjective or objective change of the specific targeted problem, symptom or disease during the treatment and the assessment of the probability of a possible causal relationship between outcome and intervention using a five-point scale. Therapeutic goal was the subjective or objective improvement of the problem, symptom or disease presented at the initial visit. Criteria for assessment were the criteria of medical judgement, which are available for physicians in genuine general practice/specialists’ practice conditions. 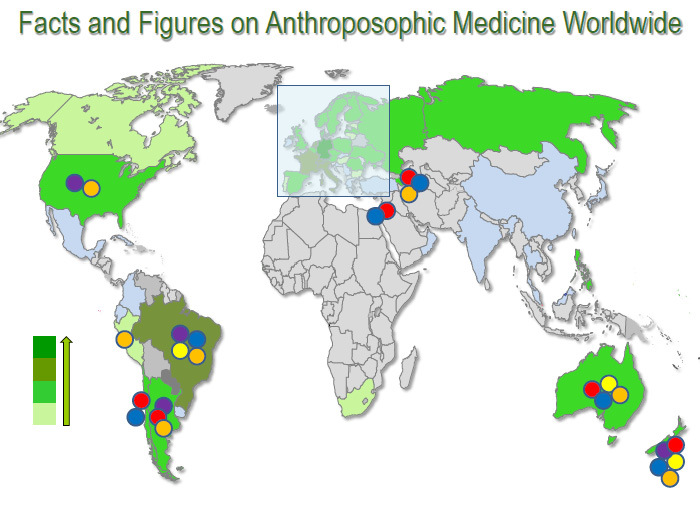 Results: 29 doctors from 8 countries documented a total of 575 patient treatment evaluations, which embrace recordings on 270 different anthroposophical remedies. Overall positive outcome according to the doctors' judgement was 80.7 %, and in 77.5 % this was judged to be possibly related to the prescribed medicine. There was strong correlation between the judgements of the doctors and the patients. Minor side effects were recorded in 3.7 %. There was no single case of severe side effects. 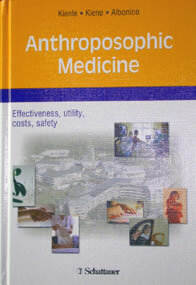 In addition, the study revealed information, which anthroposophical medicine in which disorder works particularly well. 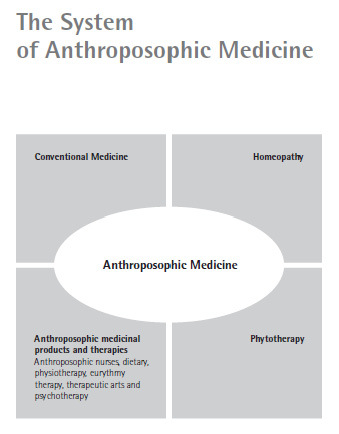 Conclusions: The prescription of anthroposophical medicines correlates with improvement of the patients’ symptoms in the majority of cases with a low rate of side effects.